Privately nestled in the quiet, historic town of Redlands, California, the Loma Linda University Behavioral Medicine Center has been providing exemplary mental health and chemical dependency care for over 20 years. It has an 89-bed psychiatric hospital that is LPS-designated and accredited by The Joint Commission. It offers multi-level care including inpatient hospitalization, partial hospitalization, intensive outpatient therapy, and outpatient services. Fellows in their first year will rotate for 1 month in the acute child (ages 12 and under) inpatient psychiatry hospital ward. Fellows will work closely with the attending psychiatrist in a multidisciplinary team and will be exposed to a diverse patient population. 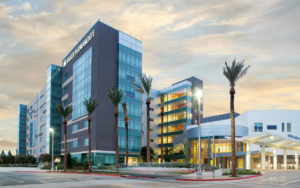 Canyon Ridge Hospital is a full-service, LPS-designated psychiatric hospital in San Bernardino County that also cares for patients living in Riverside, Los Angeles and Orange Counties. It has a 106-bed acute care facility for both adolescent and adult population. The adolescent ward contains 35 beds that provides services to patients from 13 to 17 years old. Fellows in their first year will rotate for 4 months on the adolescent psychiatry inpatient ward along with a second year general psychiatry resident and often 1-2 medical students. They will have the opportunity to work in a multidisciplinary team including attending psychiatrists, psychologists, social workers, case managers, nurses, pediatricians, and activities therapists. Fellows will have a diverse training experience with exposure to a wide range of psychiatric illnesses. Fellows will gain experience in psychopharmacology, psychological testing, group therapy, supportive therapy, family therapy, and patient/family education. Fellows in their first year will rotate for 4 months on the Child and Adolescent Psychiatry Consult/Liaison service, including inpatient medical consultation/liaison and emergency psychiatry for children and adolescents. They will have the opportunity to work in multidisciplinary teams with MDs in pediatric specialties, MDs in the emergency room, medical and psychiatric social workers, nurses and general psychiatry residents. Fellows will learn to provide effective, timely consultation to non-psychiatrists and to provide patient-centered, whole-person care to medical ill patients. Fellows will also rotate for 1 month in pediatric neurology, including inpatient consultation and outpatient pediatric neurology clinic, under the supervision of a board-certified pediatric neurologist. Fellows in their first year will rotate for 2 months in the Central Valley Juvenile Detention Center, providing care to juveniles who have been detained in a forensic setting. They will have the opportunity to work in a multidisciplinary team including the attending psychiatrist, probation officers, therapists, nurses and techs. Fellows will get to work with a challenging but also vulnerable population of children and teens and learn about the juvenile justice system and court system and how they impact psychiatric care. Fellows also learn more about the San Bernardino County Department of Behavioral Health programs. There are a total of 9 outpatient clinics in Kaiser Permanente San Bernardino County, spread across the county from Montclair to Redlands and up to the High Desert in Hesperia to provide treatment close to home for all of our outpatients. 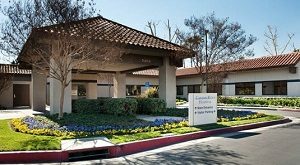 First-year fellows will start their outpatient continuity clinic one half-day per week in the outpatient clinic in Fontana and can keep the patients throughout their 2 years of training with us for medication management and psychotherapy. Fellows in their second year will have a 12-month continuity clinic in the outpatient clinics in Fontana. They will have the opportunity to get experience in different modalities of therapy and provide medication management services. This includes opportunities to work in specialized services including intensive outpatient eating disorders program for adolescents, dialectical behavioral therapy adapted for teens, cognitive behavioral therapy groups, anger management groups, Intensive Outpatient Program for teens, among other services. Second-year fellows will also work with developmental pediatricians in the Autism Spectrum Disorder clinic. In addition, second-year fellows will work 1 day per week with San Bernardino County to provide outpatient services for low-income children and teens, and one half-day per week providing school consultation services and opportunities for psychotherapy with elementary school children through Fontana Unified School District.